Fig. 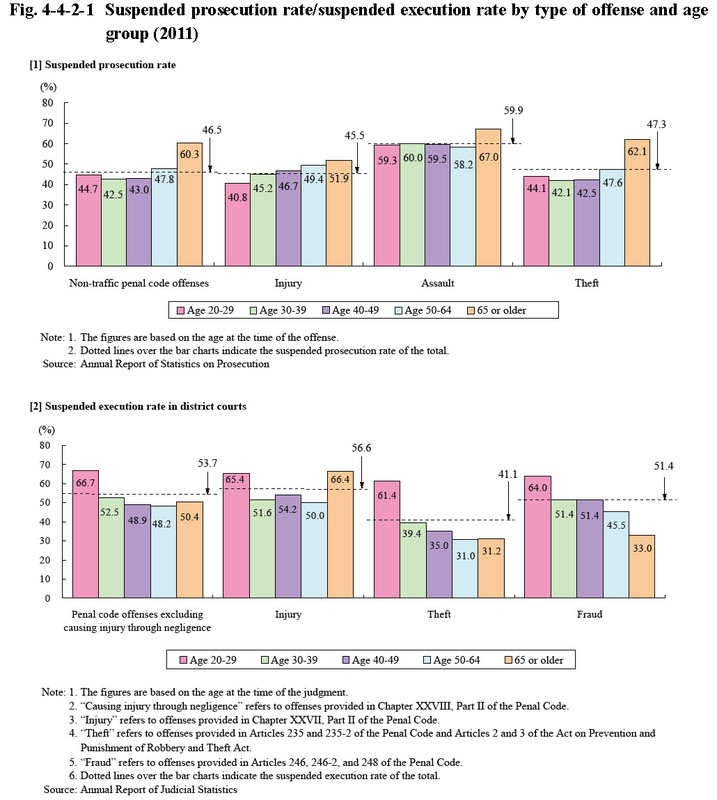 4-4-2-1 shows the suspended prosecution rate for non-traffic penal code offenses and the suspended execution rate in conclusive judgments in district courts by age group in 2011. 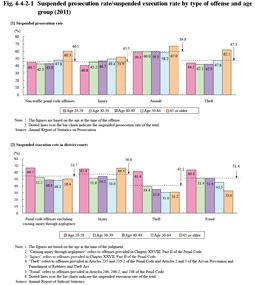 The suspended prosecution rate with elderly persons was higher than that of age groups younger than 65. The difference was particularly large for theft. In contrast to this, the suspended execution rate with elderly persons was lower for penal code offenses excluding causing injury through negligence, theft, and fraud but higher for injury than that with all persons.